How about visiting a cenote on your next vacation? | Ashlie's Cancun Blog and other stuff! « My Blog Expat Interview! Very interesting article Ashlie. I have many fond memories of the cenotes you’ve taken me to, especially Il Kil… it felt as if I was in the bowels of the earth, but the most fun of all is the local one you ‘discovered’ all those years ago. It has seats, shade, rocks to rest on in the water and places to picnic. Great! A very interesting and informative blog! Great read! 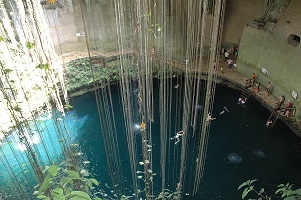 I’ve never been to a cenote in Q Roo, but I’ve been to several in Yucatan. Ebe-thank you for stopping by and taking the time to leave a comment. I appreciate it! My husband and I are going to Playa del Carmen in February, and we are both looking forward to our first cenote experience–but we want to do it low key and less touristy, any recommendations on how to get there, where to park, or which ones to visit first? Mrs.Lady–Thank you for stopping by my blog. 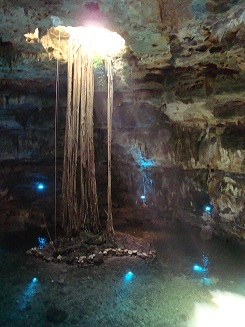 There are several cenotes close to Playa del Carmen. You could either get there by a taxi or rent a car. They are about 20 minutes from Playa. I recommend cenote Cristalino (my favourite) and you can then walk from there if you want to see Cenote Azul and Cenote Eden as well. They are all more or less in front of Hotel Barcelo. Thanks so much!!! I will visit these! My husband and I are staying at the Grand Bahia Akumal this winter, and we would like to explore some cenotes on our own. Can you give me any tips on where to go, and what might be closest to Akumal? Is it safe to go without a tour group? We are not fond of huge tours and would like to visit on our own. Is there a way for us to get to one of these cenotes by Collectivo? Hello Kimberly-Thank you for stopping by my blog. 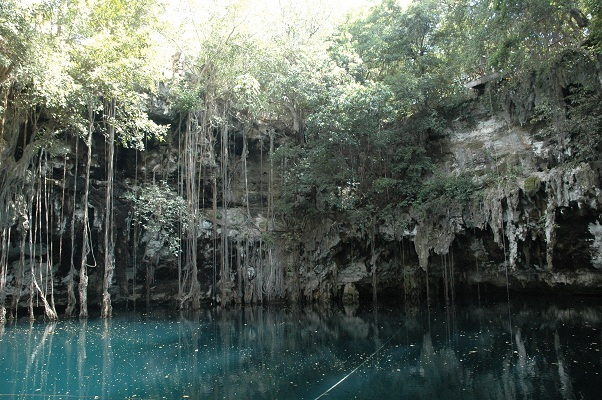 As I mentioned in my other comment to Mrs. Lady there are several cenotes close to Playa del Carmen. You could either get there by a taxi or rent a car. They are about 20 minutes from Playa and 40mins. from Akumal. I recommend cenote Cristalino (my favourite) and you can then walk from there if you want to see Cenote Azul and Cenote Eden as well. They are all more or less in front of Hotel Barcelo. 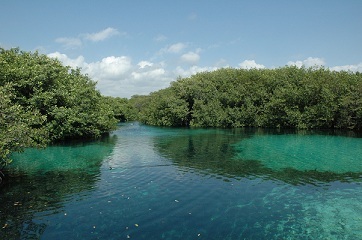 You can also visit Yal Kul which is a beautiful lagoon in Akumal http://www.cancun.com/Editorial/Yal-ku/ It is safe to visit all these places without going on our tour. I am not sure whether a collectivo can stop just anywhere on the highway anymore. In the past you could but you may wish to check with your hotel first.